Groeneveld, J., Henderiks, J., Renema, W., McHugh, C.M., De Vleeschouwer, D., Christensen, B.A., Fulthorpe, C.S., Reuning, L., Gallagher, S.J., Bogus, K., and Expedition 356 Scientists, 2017. Australian shelf sediments reveal shifts in Miocene Southern Hemisphere westerlies, Science Advances, 3(5), e1602567. Zhang. Y., Pagani, M., Henderiks, J., and Ren, H., 2017. A long history of equatorial upwelling in the Pacific Ocean. Earth and Planetary Science Letters, 467, 1-9. Šupraha, L., Ljubešić, Z., Mihanović, H., and Henderiks, J., 2016. Coccolithophore life-cycle dynamics in a coastal Mediterranean ecosystem: seasonality and species-specific patterns, Journal of Plankton Research, 38(5), 1178-1193. Šupraha, L., Gerecht, A.C., Probert, I., and Henderiks, J., 2015. Ecophysiological adaptation shapes the coccolithophore response to phosphorus limitation. Scientific Reports, 5, 16499. Gerecht, A.C., Šupraha, L., Edvardsen, B., Langer, G., and Henderiks, J., 2015. Phosphorus availability modifies carbon production in Coccolithus pelagicus (Wallich) Schiller 1930. Journal of Experimental Marine Biology and Ecology, 472, 24-31. Suchéras-Marx, B., and Henderiks, J., 2014. Downsizing the pelagic carbonate factory: Impacts of calcareous nannoplankton evolution on carbonate burial over the past 17 million years. Global and Planetary Change, 123, 97-109. Winter, A., Henderiks, J., Beaufort, L., Rickaby, R.E.M., and Brown, C.W., 2014. HORIZONS – Poleward expansion of the coccolithophore Emiliania huxleyi. Journal of Plankton Research, 36(2), 316-325. Hannisdal, B., Henderiks, J., Liow, L.H., 2012. Long-term evolutionary and ecological responses of calcifying phytoplankton to changes in atmospheric CO2. Global Change Biology, doi: 10.1111/gcb.12007. Henderiks, J., Winter, A., Elbrächter, M., Feistel, R., van der Plas, A., Nausch, G., Barlow, R., 2012. Environmental controls on Emiliania huxleyi morphotypes in the Benguela coastal upwelling system (SE Atlantic). Marine Ecology Progress Series, 448, 51-66. Pagani, M., Huber, M., Liu, Z., Bohaty, S.M., Henderiks, J., Sijp, W., Krishnan, S., DeConto, R.M., 2011. The role of carbon dioxide during the onset of Antarctic glaciation. Science, 334, 1261-1264. Henderiks, J., and Pagani, M., 2008. Coccolithophore cell size and the Paleogene decline in atmospheric CO2. Earth and Planetary Science Letters, 269, 575-583, doi:10.1016/j.epsl.2008.03.016. Henderiks, J., and Rickaby, R.E.M., 2007. A coccolithophore concept for constraining the Cenozoic carbon cycle. Biogeosciences, 4(3), 323-329. My research aims at understanding the dynamic interactions between climate and the biosphere, on both short and longer timescales. We study marine, calcifying algae (coccolithophores), using a multi-faceted approach from the fossil record to modern, natural and laboratory environments. Cross-disciplinary collaborations are an important component in this effort. 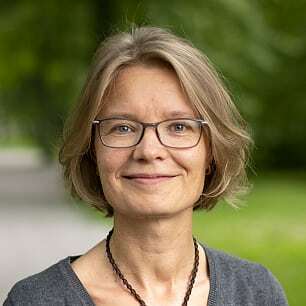 2017 – 2019	Swedish ESSAC delegate, Science Support and Advisory Committee of ECORD (European Consortium of Ocean Drilling). 2014 – 2016	Swedish ESSAC delegate (alternate), Science Support and Advisory Committee of ECORD (European Consortium of Ocean Drilling).